Looking for a challenge? How about opportunities that no other teens will have a chance to experience? 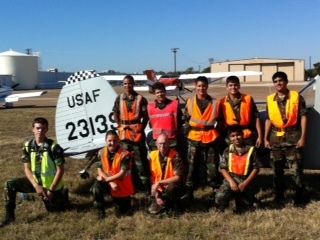 The Civil Air Patrol has a Cadet Program for students ages 12 to 20 in Denton, and hundreds of other cities. The Cadet Program is an adventurous challenge to do something cool, unique, and at the same time help you get into college, a service academy, or the military after high school. participate in dozens of summer activities every year ranging from Flight Academy and Hawk Mountain Search & Rescue School to Air Force Pararescue Orientation or Membership. Your first step to putting on the uniform is to visit our squadron for a Monday night meeting. Look at our Join page for more information.